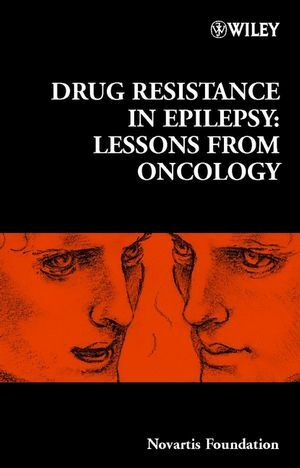 The object of this book is to gather together workers in the fields of epilepsy, those concerned with the basic science of resistance and the blood-brain barrier, and those with clinical experience of drug resistance in cancer, with a view to stimulating further work on drug resistance in epilepsy. Whilst resistance in cancer has been extensively studied, and trials of reversal of resistance have been undertaken, with some success, resistance in epilepsy has only just begun to be addressed. The problem of the drug-resistant epilepsies (J. W. Sander). Drug resistance molecules: lessons from oncology (George L.Scheffer and Rik J. Scheper). Drug resistance in epilepsy: the role of the blood-brain barrier(N. Joan Abbott, et al.). P glycoprotein and the mechanism of multidrug resistance (A.Varadi, et al). Drug resistance caused by multidrug resistance-associated proteins(J. Wijnholds). Reversal of multidrug resistance: lessons from clinical oncology(S. E. Bates, et al.). Clinical development of P glycoprotein modulators in oncology (A.Oza). Gene expression profiling of epothilone A-resistant cells (P.Atadja, et al.). Imaging of P glycoprotein function in vivo with PET (N. H.Hendrikse and W. Vaalburg). Animal models of drug-resistant epilepsy (W. Loscher). Drug resistance in epilepsy: human epilepsy (S. M. Sisodiya, etal). Cellular mechanisms of pharmacoresistance in slices from epilepsysurgery (R. A. Deisz). Functional polymorphisms of the human multidrug resistance (MDR1)gene: correlation with P glycoprotein expression and activity invivo (U. Brinkmann). OC144-093, a novel P glycoprotein inhibitor for the enhancement ofanti-epileptic therapy (M. J. Newman, et al. ).